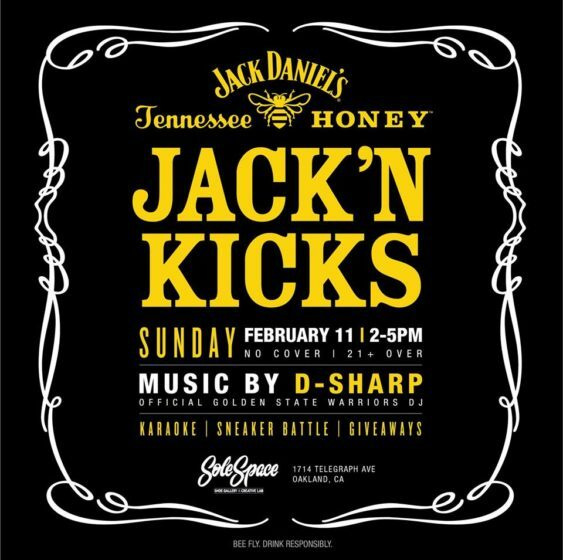 Join SoleSpace Sunday for the Bay Area stop of the Jack’n Kicks tour by Jack Daniels featuring Warriors DJ D-Sharp and hip-hop karaoke, a sneaker battle, streetwear giveaways and free adult beverages. It’s all free and it’s gonna be fun as hell. Hat tip to dothebay. There’ll also be a rare kicks wall by @sneakermonopoly and all SoleSpace shoes will be 20% off.